I’ve been pondering doing a children’s crossback apron for quite a while – a couple of weeks ago a lady contacted me via Etsy to ask for just that! 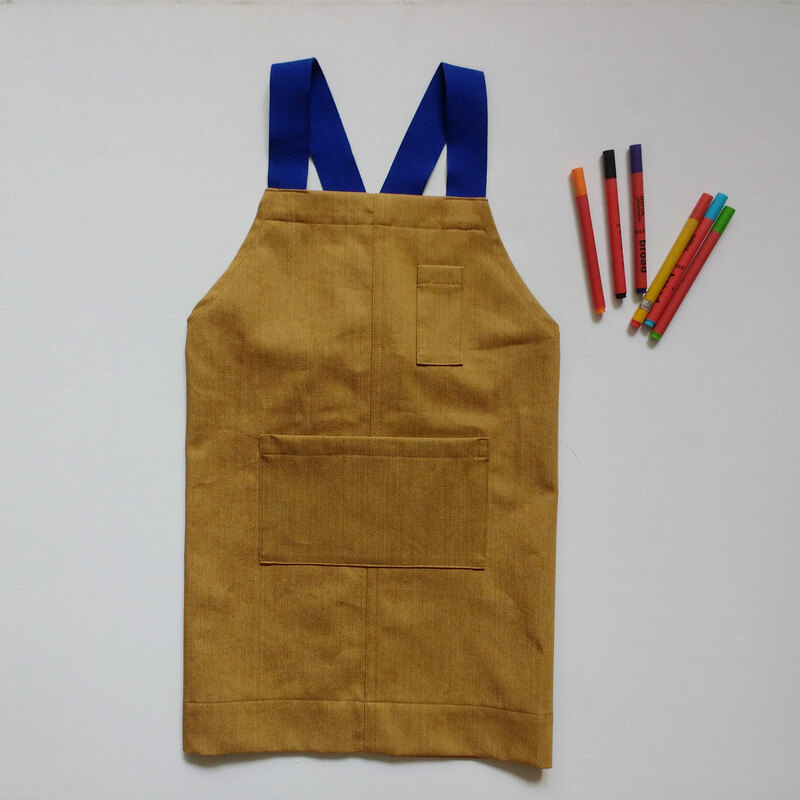 Her husband had bought her one of my No 4:3 aprons, which loves, and she wanted a couple like it for her young son. 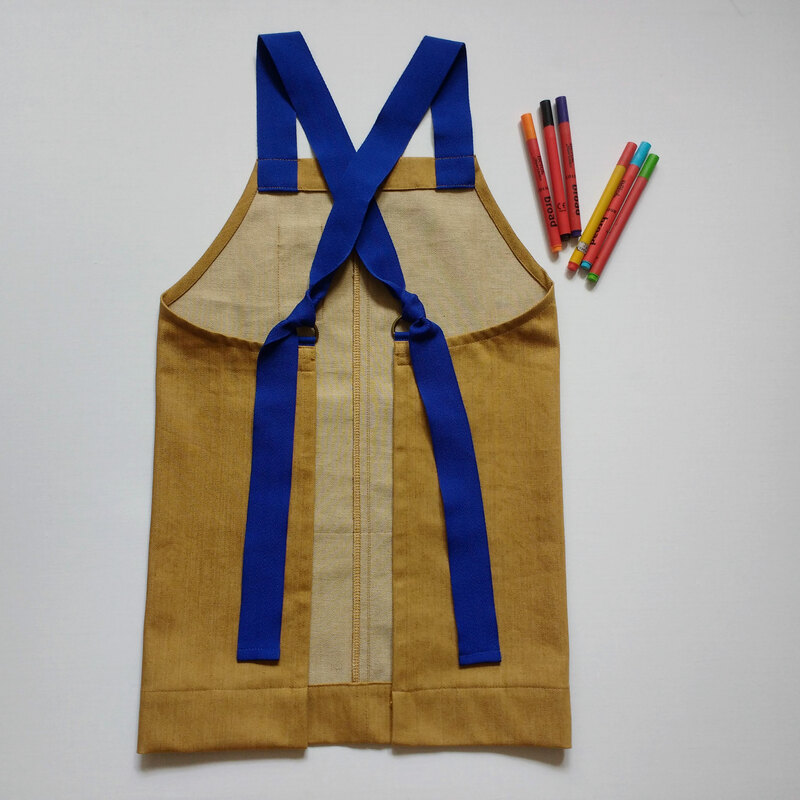 I made a version of the adult No 7, so that the apron could be size/age adjustable age 4-7. I used the long side offcuts from cutting denim No 4 & No 7, seaming the aprons down the middle. 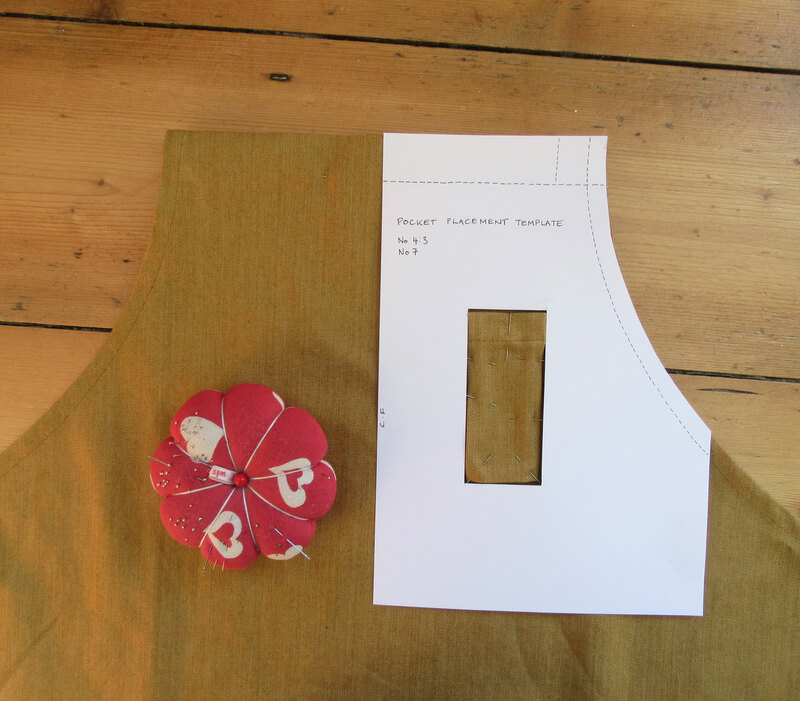 This will reduce the final price of the apron a bit, when added to the making time which is only 40 minutes less than making than an adult size apron, plus webbing, d-rings and thread. Here is the first sample….it is rather cute. 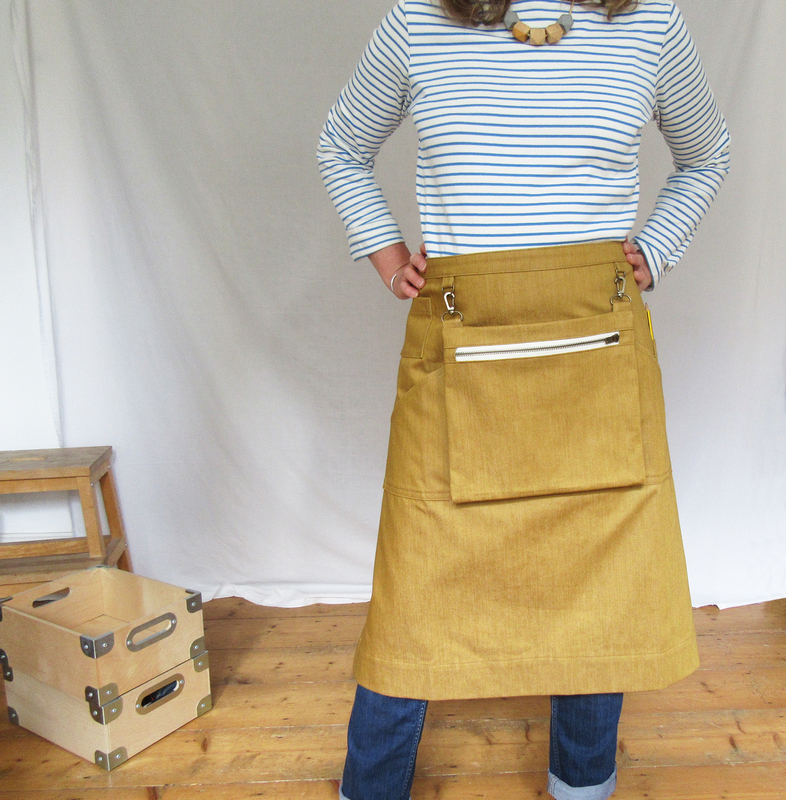 This entry was posted in New aprons, News, Studio posts and tagged adjustable apron, Aprons for Makers, Crossback apron, denim apron, In The Making - aprons, Junior No7, Lisa Bennett, No7 apron, Ochre denim on September 24, 2018 by lisabenn. No7 Apron – Evening Standard Best Aprons! My No 7 apron is featured (first ot 12!) in The Evening Standard’s ‘Best Aprons’ feature! 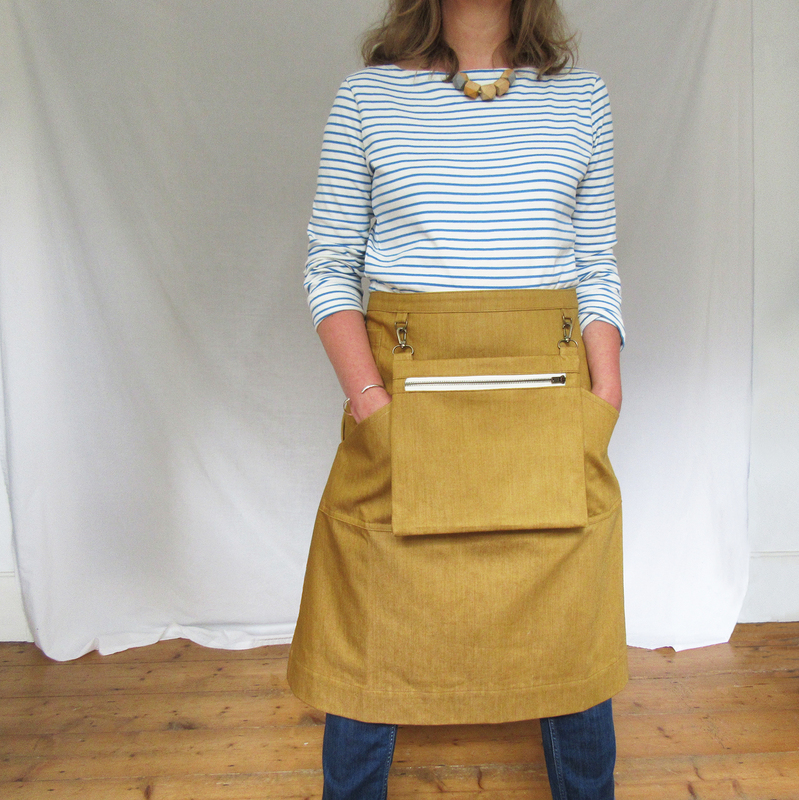 This entry was posted in News and tagged adjustable apron, Aprons for Makers, Evening Standard, In The Making - aprons, Lisa Bennett, No7 apron, Ochre denim, work apron on September 4, 2018 by lisabenn. 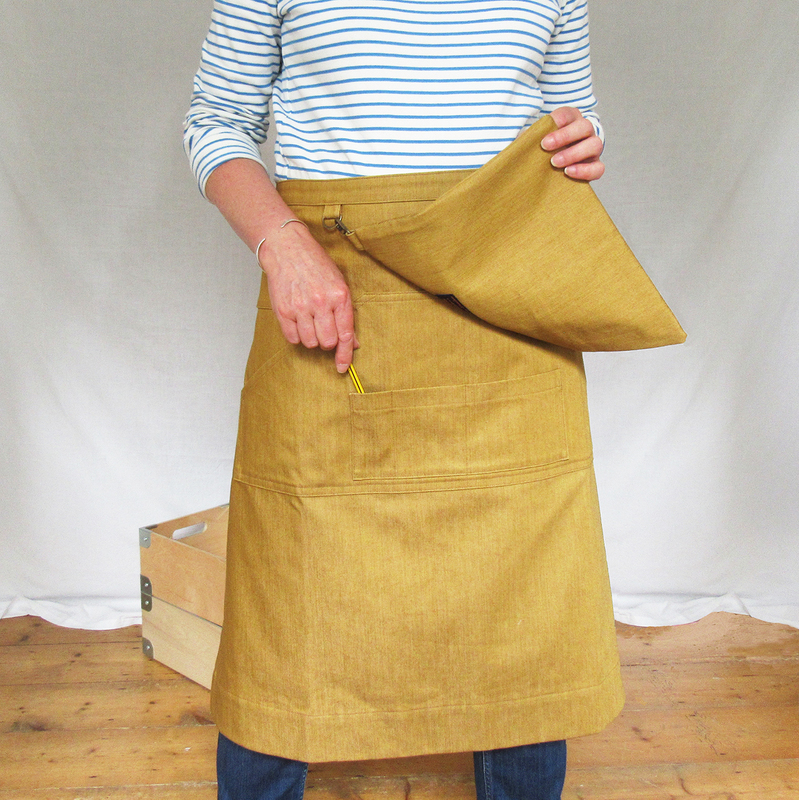 The new ‘Makers Market Apron’ No 12 now comes in my favourite ochre denim. This version has ‘antique gold’ metal zip, D-rings, clasp hooks. 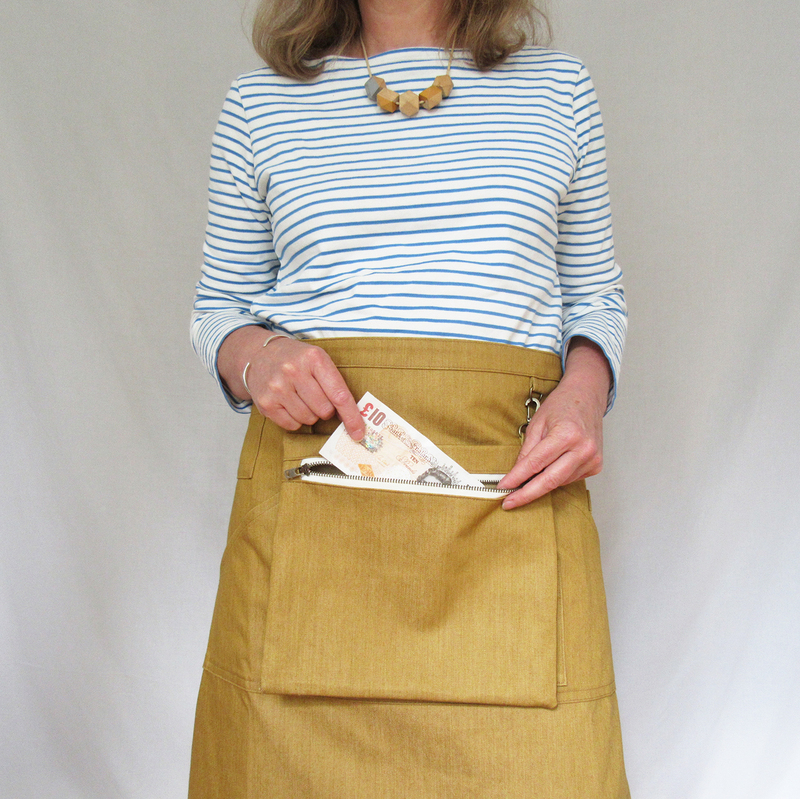 This entry was posted in New aprons, News and tagged Aprons for Makers, Cash Bag, Craft Sellers Apron, denim apron, Lisa Bennett, Makers Market Apron, No12, Ochre denim, work apron on September 5, 2017 by lisabenn. 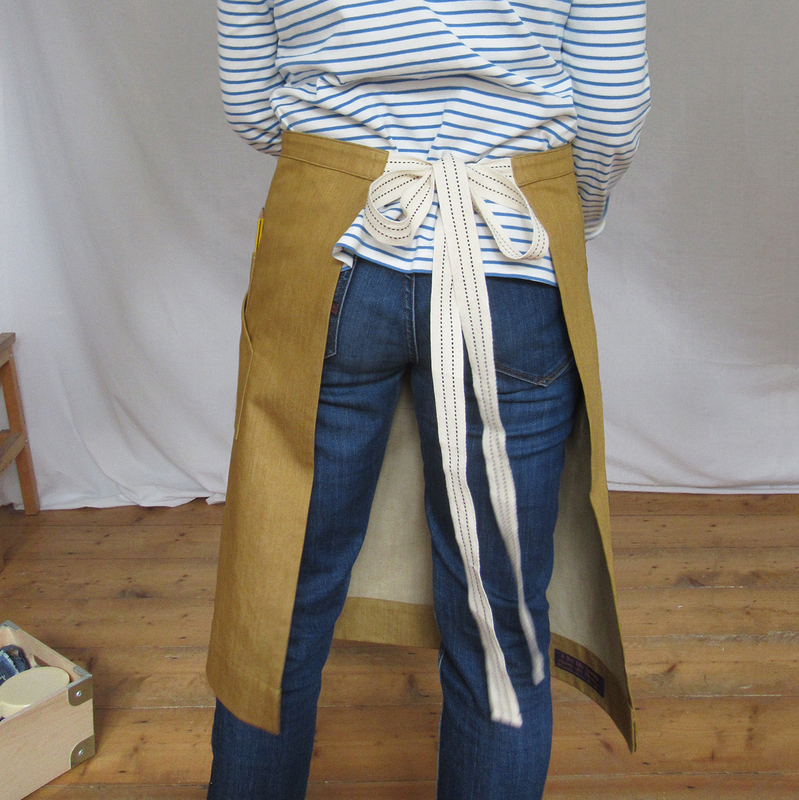 Making No7 ochre aprons with red ties, today, because Etsy shop has sold out. Measuring from the curved edge for the pen pocket is time consuming…so I made a template to align with the edge and drop the little pocket into…very pleased with that! This entry was posted in Studio posts and tagged Aprons for Makers, denim apron, Lisa Bennett, No7 apron, Ochre denim on March 13, 2017 by lisabenn.